Moissanite is originally born from a star, though the crystals on earth were far too small to make anything with. 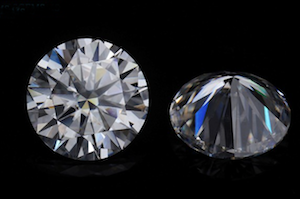 Synthetic moissanite was recently introduced and is still popular, though very costly. Characterized by its slight yellow tone and weight. Moissanite is lighter than a diamond of the same size. It is impossible to get a perfect D color moissanite. Most are in the GHI color range. Average Cost: Cost can range between $200.00 – $400.00/ct. Now You can buy high quality of Loose Moissanite Gemstones from China Suppliers and wholesaler. 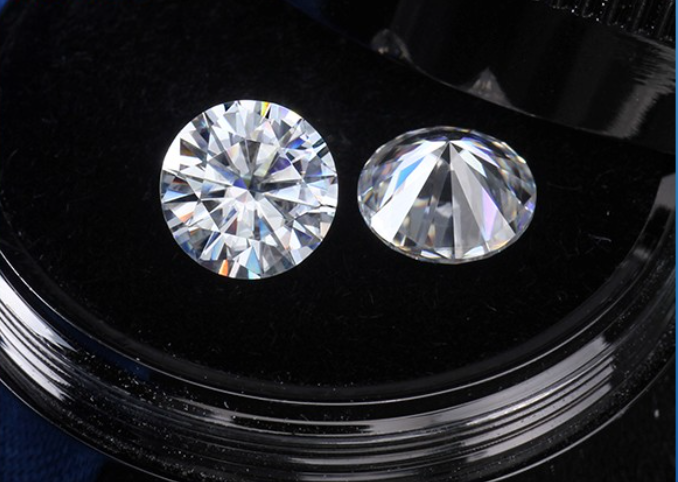 Here're the pictures of Loose Moissanite Gemstones in Round Brilliant diamond cut. We also deal with Loose Moissanite Gemstones in other fancy shapes, such us Marquise, square, oval, Pear...so on. Contact us to get your own high quality of Round diamond shape Loose Moissanite Gemstones from China Suppliers and manufacturer. 0 Respones to "Loose Moissanite Gemstone Round Diamond Brilliant Cut China Supplier and wholesale"